photo credit: Illustration of human brain. Jezper/Shutterstock. Scientists may have taken yet another step toward growing a fully-formed human brain in the lab. Even though it is only the size of a pencil eraser, this little brain has a mountain of potential uses for future medical research. The new development was announced at theMilitary Health System Research Symposium in Fort Lauderdale, Florida. There have been other miniature brains developed in the lab in the past. However, Rene Anand of Ohio State University, who presented the work, claimed that this was the most complete model yet. The brain was grown from the skin cells of an adult human and, incredibly, boasts 99% of the genes found in a human fetal brain. It also has identifiable structures such as a cerebral hemisphere, spinal cord and even a retina. (See picture below). The main component missing is a circulatory system – veins and arteries that carry blood. 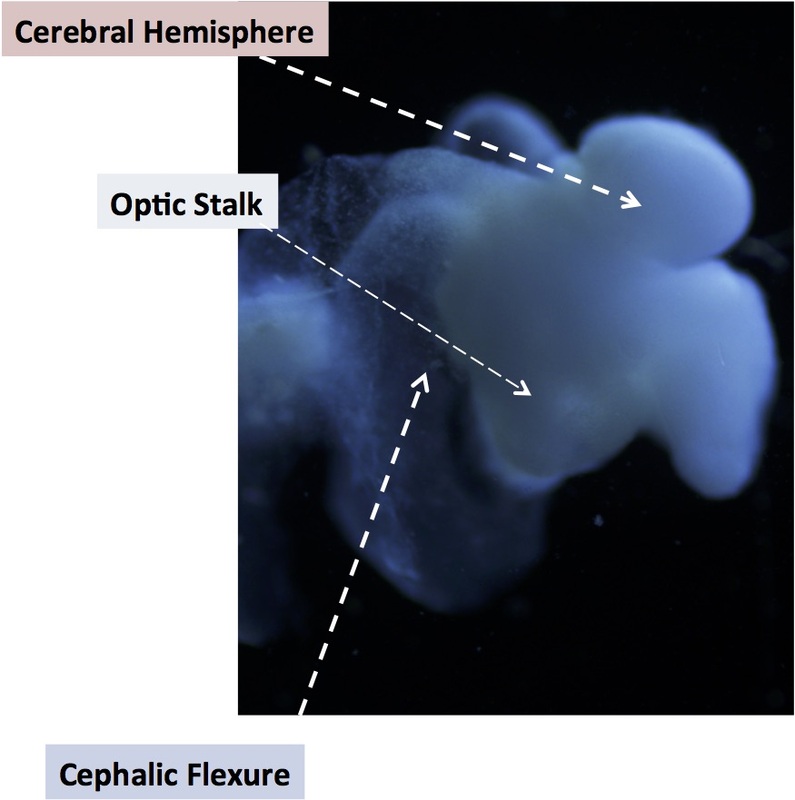 Although the brain took about 15 weeks to grow, it more closely resembles a five-week-old fetus brain. Even being able to grow a brain to this early stage of human development could be an extremely valuable tool for scientists studying developmental diseases. Tests could check how tissue growth at this early stage is affected by conditions such as Alzheimer's or Parkinson's and even trial drugs to combat their effects. Obtaining skin cells to grow a brain like this is the simplest part of the procedure. To turn these into a tiny brain, Anand had to prompt the cells to transform into pluripotent cells, or those that have the ability to grow into any other type of cell. Once induced, these cells are then encouraged to become neural cells. “We provide the best possible environment and conditions that replicate what’s going on in utero to support the brain,” explained Anand when discussing how to influence the development of neural cells. Although this all seems very promising, researchers have commented that it is difficult to assess Anand's claims without more access to his data, which is currently unpublished while Anand waits for a patent for his technique to go through. Photograph of the lab-grown brain. Ohio State University.